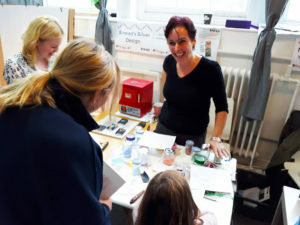 Fun Palaces is a free, international celebration of community, bringing people together with arts, science, crafts and technology, taking place across the UK and globally, on the same October weekend. 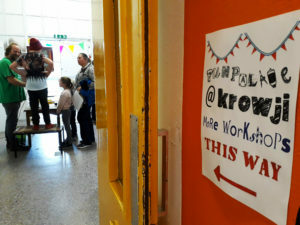 In October 2017 Krowji hosted it’s first Fun Palace where 17 artists and makers based at Krowji ran free workshops and activities ranging from jewellery making, printmaking and ceramics to bookmaking, sewing and ink marbling. 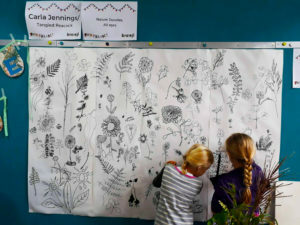 The event was well received by the local community and Krowji decided to continue to run Fun Palaces in future years, as annual FREE events. Stay updated via our Facebook page. 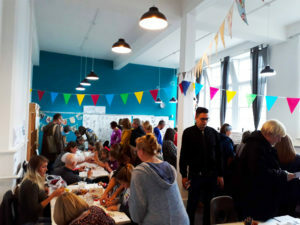 Click here to find out more about the 2017 and 2018 Fun Palace events.